It’s here! Dr. Mara’s International Best Seller, The Passionate Life: Creating Vitality and Joy at Any Age, is now available in Paperback and on Kindle! 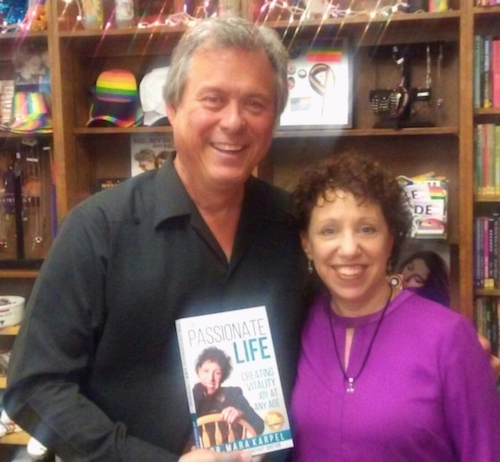 The Passionate Life: Creating Vitality and Joy at Any Age is a guide for all who want to live a more vital, joyful life! After all, Passion, Joy, and Vitality are not just for the young! They are meant for the young at heart no matter what our age. 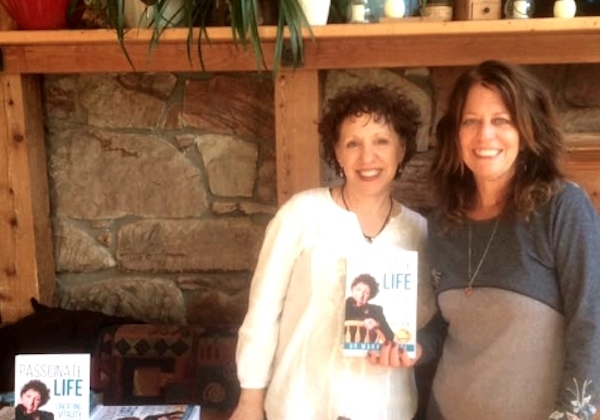 In The Passionate Life: Creating Vitality and Joy at Any Age, Dr. Mara interweaves her twenty-six plus years of expertise as a psychologist, her own personal experience, and the wisdom of today’s thought leaders on physical, emotional, and spiritual health into these pages. Readers will gain valuable tips for creating a meaningful, vital, and joyful life––no matter what challenges they may face. The Passionate Life is a guidebook for the exciting trek we call “life.” Whether you are early in your journey, moving into a new chapter of life, looking to climb out of a rut, or finding your way again after being lost for years––this book is for you! Dr. Mara shares a wealth of knowledge to help all of us feel vital and alive––physically, mentally, intellectually, and spiritually––well into our golden years. Order your copy of The Passionate Life today! Dr. Mara Karpel is firmly fixed in her “zone of genius” in this amazing book, which is the ultimate road map to energy, inspiration, and purposeful living. Dr. Karpel fearlessly proclaims: out with the old paradigms, in with new! Here is everything one needs to make the golden years truly and radiantly golden! 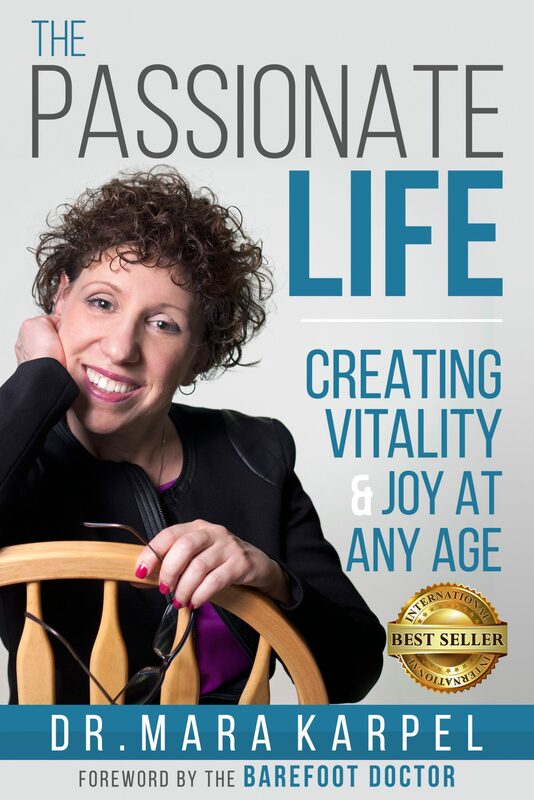 In The Passionate Life: Creating Vitality and Joy at Any Age, Dr. Mara Karpel gifts us with the wisdom of dozens of experts in the fields of peak performance, lifestyle, spirituality and aging, just to name a few. She highlights the essence of many best selling books and weaves their expertise together through personal stories and lovely narratives. I will return to this book whenever I need a reminder of the possibilities in life. Most compelling is her unwavering candor about her own life journey. As a repeat guest on her radio show, Dr. Mara Karpel & Your Golden Years, I’ve been blessed to get to know Mara over the past two years. As I reader of her book, I feel honored by her continual invitation to deepen our friendship through her personal stories. Dr. Karpel is a treasure to her clients, and Mara a gift to her listeners and now her readers. ~ Tresa Leftenant, CFP, author of Reinventing Her: Helping Women Plan,Pursue, and Capitalize Their Next Chapter, founder of My Financial Design, Registered Investment Advisor, and National Speaker. The Passionate Life is an excellent roadmap to help others discover their passions and live their purpose no matter their age or setbacks. Dr. Mara Karpel has put together a masterpiece that I recommend everyone to read. Mara is a living embodiment of what it looks like to live a purpose driven life: energetic, bright-eyed, and joyful. Fortunately, for the rest of us, Mara’s purpose is to help each of us find our own purpose. This is a book about how to get out of our own way and reconnect with that inner voice and ask: By what measures do you want to define yourself? What truly drives you? All answers lead toward living a happier, healthier, more passionate and purpose driven life. Dr. Mara Karpel shows us that a life full of happiness, meaning and vitality can be found at any age. She shares empowering and inspiring stories from experts on a wide variety of topics, including relationships, nutrition, stress management and spirituality (to name a few). Dr. Mara offers life-changing, but also practical, strategies that will lead you through a journey of self-discovery. Living a meaningful life often requires us to step outside of our comfort zones, question societal norms, and even face a bit of adversity—this is part of what makes life rich and varied! Dr. Karpel addresses this beautifully and provides tools to help you make your dreams a reality even when you are faced with challenges and setbacks. I highly recommend this book to anyone who is looking to create something new, or who simply wants to experience more contentment and appreciation for the life they are currently living! Dr. Mara’s On-Line Course, Living the Passionate Life, debuts right here on this website. Catch Dr. Mara on her book-signing tour: Dates, times, and places are listed below as they’re scheduled. I had a wonderful time speaking about my journey and about my book, The Passionate Life, at Tuscan Village in Lakeway, TX... to a very warm and welcoming group of people today! Thank you to Wendy for setting it up and to Linda for hosting it! Book Signing on South Padre Island: January 25!